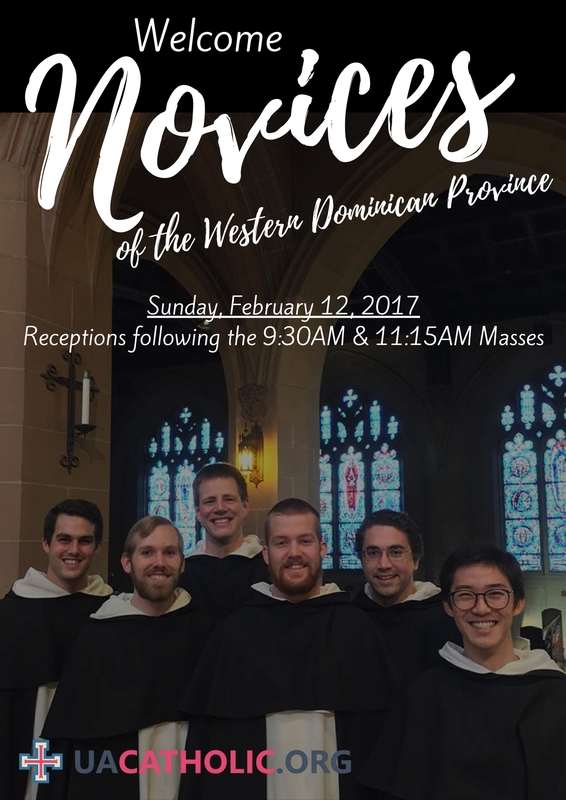 Join us after the 9:30AM and 11:15AM Masses on Sunday, February 12th to welcome the young men who are in their first year of formation with www.OPwest.com to become Friars in the Dominican Order. This entry was posted by St. Thomas More Catholic Newman Center on February 9, 2017 at 11:50 am, and is filed under Events, This Week at Newman. Follow any responses to this post through RSS 2.0. You can leave a response or trackback from your own site.